What a fabulous start of lunch by sipping Chateau Latour-Martillac Blanc 2001 from Pessac-Léognan. 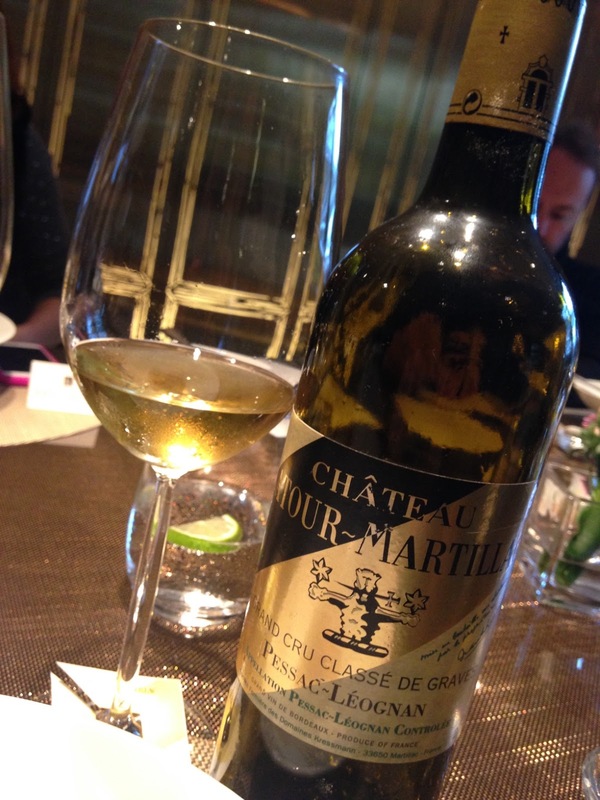 This 15 year old wine was elegant, fresh with great refinement - a reminder of how a great Bordeaux white wine can develop. The lunch was hosted by the Chateau’s brand ambassador Edouard Kressmann, a winemaker by training and the fourth generation of the family-owned estate. Originated from Poland, the great great grandfather Edouard moved to Bordeaux in 1858, built a successful negociant business and eventually advised Chateau La-Tour in Martillac to plant white grape varieties. The property was subsequently bought by Alfred, the son of Edouard, who changed the name to Latour-Martillac. The terroir of the estate proofed to be exceptional for both red and white wines. When the Graves wines were classified in 1953 and again in 1959, only six estates had both their reds and whites selected for the classification, and Chateau Latour-Martillac was one of them. Edouard is proud of the label, designed by his grandfather Jean in 1934. A striking geometric design with black, gold and beige pattern, it was inspired by the Art deco movement. I have to admit that the label does stand out and is probably well-received in China, the market that Edouard is focussing. He moved to Beijing in 2011, visiting various Chinese and Asian cities to promote the brand. Although Pessac-Léognan still lags behind the Medoc in China, Edouard is pleased to see that more and more Chinese consumers are not chasing big names. d only blended them later, while Valérie first blends the wine then ages them in new, first and second filled barrels in equal portion. The final wine is more integrated and elegant. Edouard is the only member in his generation actively involved in the family’s business. Although he misses harvest and working in the winery, he plans to stay here in the east for a while to understand the customers. 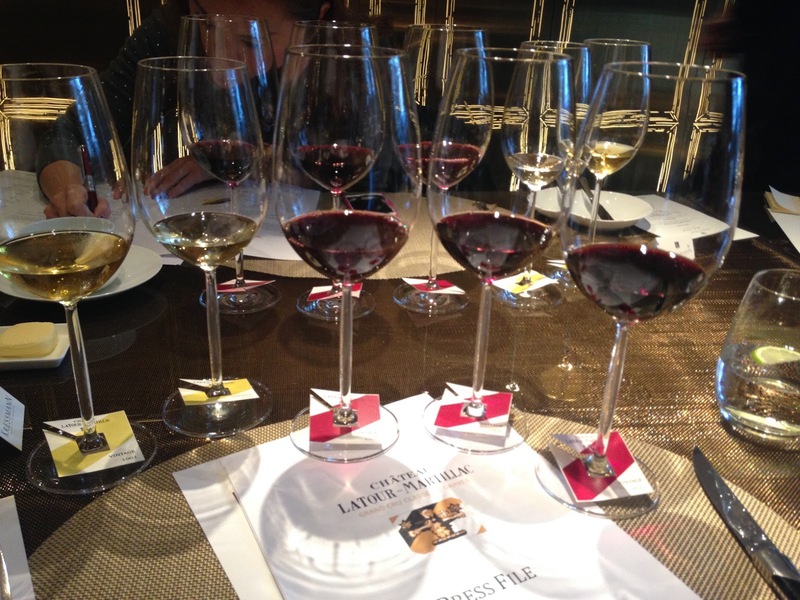 His stint in China would certainly prepare him to continue the legacy of Chateau Latour-Martillac. Chateau Latour-Martillac is available from Summergate. I had the opportunity to attend two tastings in a role organised by the Hong Kong Wine Society on two classic European wine regions, one in conjunction with The Drinks Business on the Douro Valley in Portugal and the other one jointly presented with Cottage Vineyards on Piedmont region in Italy. Both countries are known for their vast arrays of indigenous grapes and the tastings, with focus on these varieties, were like fresh air. 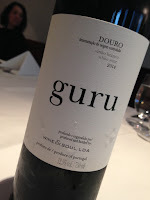 The Douro wine we tasted, from Wine & Soul and Quinta de Maritávora, were made by the same winemaker Jorge Serôdio Borges who is also the owner of Wine & Soul. Douro is the home of port but still red wine has been gaining fame in the last 10 years. Jorge reckons now is the turn of Douro still white wine. Wine & Soul Guru, from a 50 years old vineyard planted with Gouveio, Viosinho, Rabigato and Códega do Larinho (field blend), is a light-bodied wine with only 12% alcohol. It was barrel fermented with 50% new oak but it has such intense fruit aromas that the wood just added complexity to the wine instead of overpowering it. The wine was a good match with the Pasties de Bacalhau being served but it would be equally impressed with grilled prawns or sardines. New vineyard plantings in the Douro tend to be of single variety for better management but Jorge now goes back to field blend planting. He blended wine from different varieties planted separately but now believes vines maturing together allows different varieties to interact in the vineyards resulting in more complex blend. Well, I don’t think we can argue with him - his Guru testifies his theory! The two reds that followed were interesting comparison. Both were blends dominated by Touriga Nacional, Touriga Franca, Tinta Roriz, amongst others. The Maritávora Grande Reserva 2011 was concentrated but with such freshness that reminded me of a young port without the sweetness. Wine & Soul Pintas 2009, a mega-blend with 30 varieties, is elegant and multi-dimensional with earthier notes. Jorge said Portugal is the New Old World, where indigenous grapes are used to make clean, fresh and balanced wine. Italy’s indigenous grapes were mostly uprooted or lost. Fortunately a few committed winemakers have not forgotten them. Cottage Vineyards invited two winemakers from Piedmont to showcase three such varieties: Erbaluce, Vespolina and Pelaverga Piccolo. I first tasted Erbaluce in 2014 at Vinitaly and it was such a discovery. A light -bodied wine with floral, smoky tones and a mineral finish, it is refreshing and in my view, a much more suitable wine for the Asian warm and humid climate. 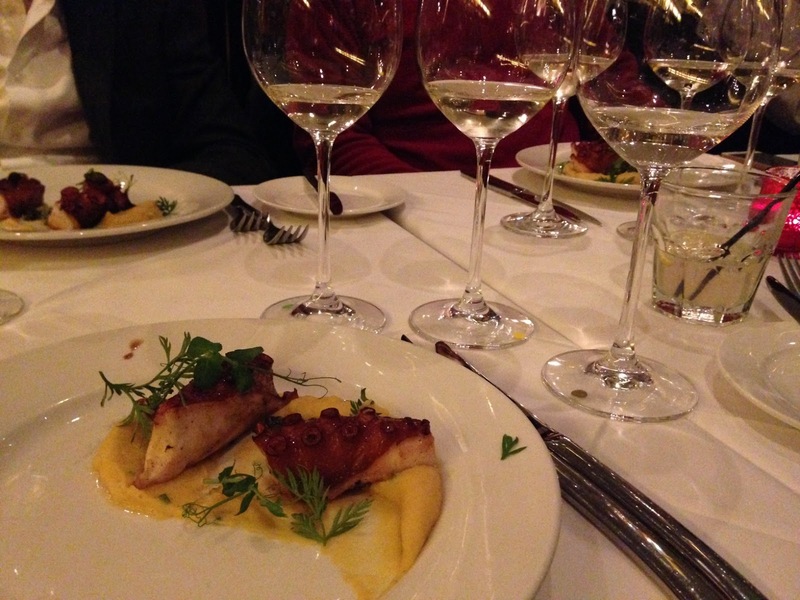 Jancis Robinson once said the better Erbaluce could challenge Arneis and Gavi, the leading white wines from Piedmont. The one we tried, Pietro Cassina ‘Nivis’ Coste della Sesia Bianco DOC 2014 (yes, 100% Erbaluce) was exactly what I remembered and it went extremely well with the seared scallop on mashed potato and hazelnut - hazelnut being a famous produce in Piedmont. Pietro Cassina ‘Tera Russa’ is 100% Vespolina grown on red soil, an earthy wine with notes of spices and herbs. Vespolina was nearly lost to phylloxera and there is only just over 100ha plantings left in Italy. di Verduno then winemaker dedicated a vineyard, Basadone, to the variety. The wine was eventually promoted to DOC status in 1983 and although there are 11 producers in Verduno, total planting of the variety is just over 20ha. The wine is light and elegant with sour cherry and spicy tones. Basadone means ‘kissing women’ in local dialect and winemaker Mario Andrion hopes the wine could reawaken wine lovers’ desire to these forgotten grapes. Both Portugal and Italy are my favourite European wine countries and I love indigenous grapes. I hope the new generation of Portuguese and Italian winemakers will not forget their history, and keep crafting wines from these treasures. Wine & Soul and Quinta de Maritávora are available from Maritávora Asia Ltd.
Pietro Cassina and Castello di Verduno are available from Cottage Vineyards.